This tour takes you to the most marvelous regions of Vietnam, where you can learn about the lives of the local ethnic peoples, visit the mountains and the Black H'mong communities of Dong Van and traverse the Ma Pi Leng Pass. Experience the magic of Ba Be Lake, through another very spectacular mountain road. The best activity to explore Ba Be national park is trekking, the best way to discover Ba Be Lake is seeing the landscapes on the lake by boat. 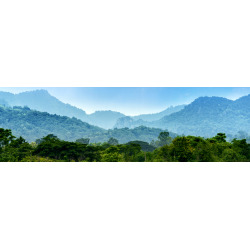 This small-group trekking trip four days in Ba Be will takes you into the remote villages on the western side of Ba Be National Park and gives you the opportunity to experience the real tropical forests. It is for people with at least moderate to good fitness levels and a good spirit of adventure. 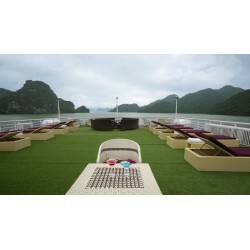 This 3- day adventure will take you through the karst-studded waters of Lan Ha Bay to the stunning Cat Ba Island. 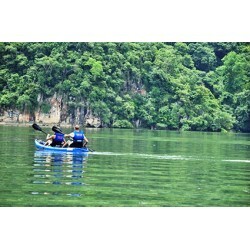 As well as, taking in some of the most incredible areas in the north of Vietnam, this action-packed trip is full of unforgettable experiences including cruising on a traditional wooden sailboat, hiking through a beautiful national park, staying with local families, discovering caves system and kayaking. 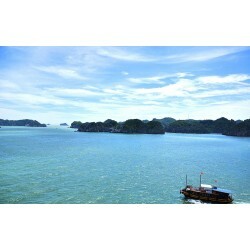 This tour takes you away from the crowded tourist areas so you really enjoy the beauty of this stunning bay. Ba Be National Park - Ba Be Lake is the largest natural freshwater lake in Vietnam with exceptional biodiversity including a population of langurs, over 200 bird and 350 butterfly species, geological treasures and mature primary limestone forests. In places like this, careless tourism can bring human disturbances and endanger this heritage, while thoughtful tourism with a controlled impact can provide excellent support to conservation projects in the area and help the economies of local people. We share your desire for the latter option and promise that nature knows how to return your kindness. Surrounded by the lush green of the forest, we hope you enjoy your time spent exploring the lakes, caves, mountains and jungles. 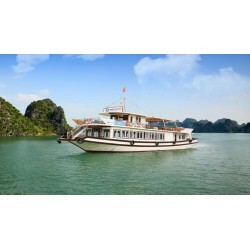 Seven legendary days from Hanoi to Hoi An. 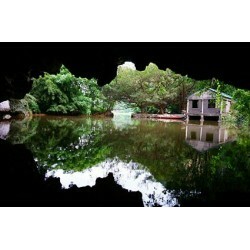 Immerse yourself in the local culture, culinary delights and scenic landscapes on a journey through rural Vietnam. Mr Linh's Adventures has been designed by travellers for travellers. It showcases some of the most spectacular “off the beaten track” destinations while keeping a fun and relaxed atmosphere, all being enjoyed with a bunch of like minded souls. 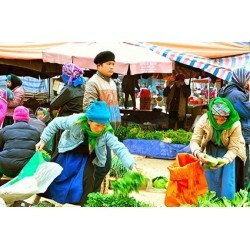 The remote areas of Ha Giang offer travelling experiences like no other, the cultural diversity and uniquely beautiful landscapes remain pure and unspoilt by the modern day trappings. This tour gives you the chance to take in the highlights of this remarkable region, making the most of your time by staying with families to maximise your cultural discovery. 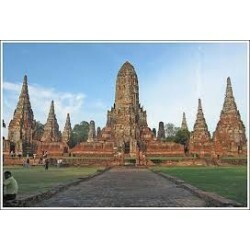 This 10 days package will bring you alon Vietnam from the North to the South. 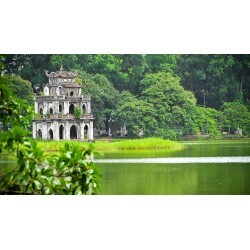 You will arrive first in Hanoi - The capital of Vietnam and finish in Ho Chi Minh City in the South of Vietnam.